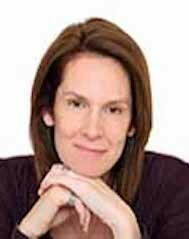 Marie-Anne is an experienced change and OD consultant, coach, trainer, psychotherapist and supervisor. She has a background in consulting having worked with board level executives and led major change management programmes both in the UK and Europe. She was also Deputy Head of a Gestalt training where she developed and taught diploma and MSc level courses in psychotherapy and organisational change. 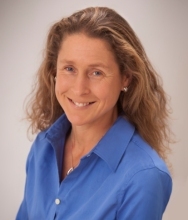 Marie-Anne is an Accredited Coach and Associate of Ashridge Business School and holds a D. Psych in Public Works with a focus on the synthesis of Gestalt psychotherapy and Organisational Development. 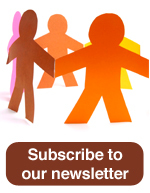 To read an interview with Marie-Anne about her new book, please follow the link to the March 2018 Relational Change Newsletter. 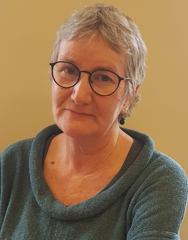 Sally works as an Organisational Consultant, Accredited Coach/Coach Supervisor, Trainer, Psychotherapist and Supervisor with Public, Private, Academic and not-for-profit organisations in the UK and Internationally. 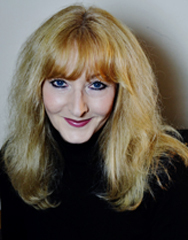 She has a background in Clinical Psychology and Gestalt Psychotherapy with over 25 years experience in senior leadership positions in the NHS in the UK. She is an Academic Advisor on the Doctoral programme at Metanoia/Middlesex University in London, International Faculty Associate at the Pacific Gestalt Institute in California and an Associate with the Taos Institute. Sally's work is grounded in a passion for ecology and co-emergence which she supports by regular long walks with her dog. Read more about Sally in the September 2018 Newsletter. 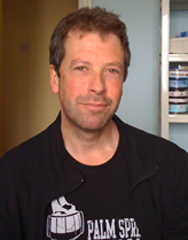 Martin Capps, UKCP Registered Psychotherapist, GPTI. I am attracted to working with Relational Change because of the shared belief and passion that relationship is at the heart of all human interaction. Kate Glenholmes BSc. (Hons), RMN, Gestalt Practitioner in Organisations, EAGT. Kate Glenholmes has over 25 year experience in healthcare settings, both operationally and strategically, having worked in variety of roles as a senior leader in the NHS. She started her gestalt career over 30 years ago and has trained in psychotherapy, coaching and organisational consulting. Kate currently works independently offering a range of OD/coaching services and has a particular interest in bringing a relational OD approach to complex and challenging systems. Working with Relational Change gives me the opportunity to express my commitment to a relational way of working and the positive impact this can have for organisations and individuals. 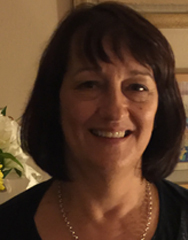 Helena Kallner, MA (Public Health and Ethnology), MSc (Gestalt Psychotherapy), UKCP Registered Psychotherapist. I am involved with Relational Change simply because I believe that compassion and our ability to relate and resonate with each other is essential for our survival, and necessary in order to create a sustainable future. 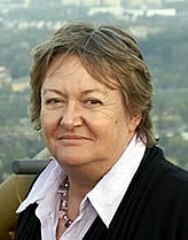 Lynda Osborne, DPsych, UKCP Registered Psychotherapist. Lynda's interest in Relational Change is because, in her experience, the way we create/adapt to change is fundamental and relationships are at the heart of that process! 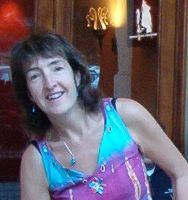 Miriam Taylor, MSc., UKCP Registered Psychotherapist. Why Relational Change? Because I believe fundamentally that meaningful change happens from the bottom up. I have been drawn to the grass roots throughout my career - with individuals, in groups and in organisations. The skills we have as therapists are too valuable to be limited to those who can pay; I strive to make them more accessible to those who need them. All members of the Relational Change Leadership Team provide their services on a wholly voluntary basis as a commitment to developing relational theory, praxis and the Relational Change Community. Sally’s background is sales and marketing in a variety of industries. She has organised and run training courses and been publisher and editor of a very successful community magazine. She also provides a range of support services, such as digital marketing and website creation to therapists and small businesses. I’m a passionate advocate for an holistic approach to mental health and well-being and firmly believe that nourishing relationships are key to this. 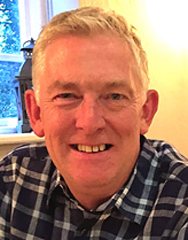 Jim’s background is as a Biomedical Scientist and Senior Manager in the British National Health Service. He has worked with various ICT, information and quality systems and has extensive experience of data quality monitoring and audit. Jim has tended the Relational Change website since set-up. Relationship and context are vital to a holistic worldview. For me this means celebrating complexity and diversity; valuing each individual as unique, yet set within a wider world. Mike Clark, PhD, Research Manager, NIHR School for Social Care Research at the London School of Economics. Michael’s experience spans academia and health and social care. He has worked at local, regional and national levels seeking to build stronger ties between research, policy and practice for them to better inform each other. He states that sometimes this can feel like being sandwiched between different worlds, but always the way to make progress is through good relationships with people which brings their different knowledge and perspectives to a much more informative whole. 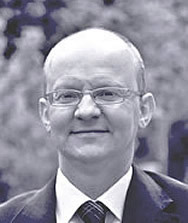 Dominic Hosemans PhD, Counselling Psychologist. Dominic recently graduated from his PhD in the area of Counselling Psychology. His PhD thesis examined the experience of equanimity within meditation. 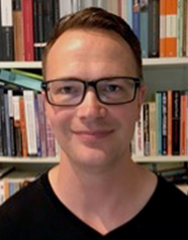 Having completed a Masters in Psychology (Counselling), Dominic works in private practice as a psychologist, dividing his time between adults in a low-cost clinic as well as working from a child-centered play therapy paradigm with children. He had recently commenced training in Gestalt Therapy with Gestalt Therapy Australia. Read more about Dominic's work in the December 2018 Newsletter. The aim of the current research project is to deepen our understanding of the phenomenological experience of relationality according to clients within gestalt therapy. The study will have significant implications in terms of furthering our understanding of relationality beyond a theoretical sense into a more embodied sense of what it means to be in relationship within gestalt therapy. 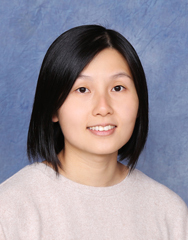 Mickie Wing Yin Yau, PhD Scholarship Student, University of Divinity/Patrick and Anthony Wright Foundation, Australia. Mickie is a spiritual director, ministry supervisor and counsellor practicing in Asia and Australia. She is completing the final year of her Gestalt psychotherapy training in Melbourne. She is passionate to use her knowledge and experience to journey with people seeking psycho-spiritual growth and healing. In 2019, Mickie was awarded a PhD scholarship that is co-funded by the University of Divinity and the Patrick and Anthony Wright Foundation in Australia. The research project is an interdisciplinary study looking at how contemporary neuroscience research on meditation practices informs the practice of spiritual direction. I am delighted to have support from Relational Change as I deeply believe in the impact and potential of relationships. I am interested in exploring how our developing relationship with non-human others and the interpersonal dialogue that emerges around these relationships through spiritual direction might impact well-being.